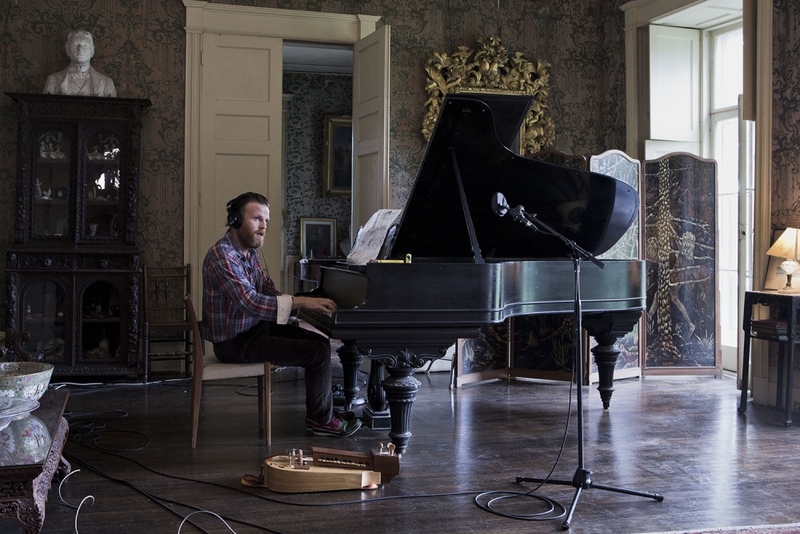 This summer, the Museum of Fine Arts, Houston (MFAH) presents an immersive, nine-screen video installation by renowned Icelandic artist Ragnar Kjartansson. Each frame of Ragnar Kjartansson: The Visitors features a different musician, all of whom play together, but in separate rooms. Well known for his musical performances that experiment with time and repetition, Kjartansson (born 1976) uses durational performance to capture collective emotion. The Visitors brings together a cellist, a pianist, a banjo player, an accordionist, a drummer, and two guitarists. They perform simultaneously, in different rooms, surrounded by the faded glamour of the Rokeby Farm House in Hudson Valley, New York. A designated historic landmark, the house was built in 1815 on the 400-acre estate owned by the descendants of the Astor family. More than simply watching the video, viewers of Kjartansson’s work become “visitors” themselves, moving from screen to screen—or, rather, room to room. Filmed in a single take, The Visitors was created in the midst of Kjartansson’s divorce from Ásdís Sif Gunnarsdóttir, whose poem “Feminine Ways” serves as lyrics sung by the musicians. The music echoes through the galleries, fully immersing visitors in the presentation. For more information, please visit the MFAH's website.